Cannabis and Cannabinoid Research is the leading source for authoritative cannabis and cannabinoid research, discussion, and debate. The “Regulatory Status of Cannabidiol in the United States: A Perspective“, an article I co-wrote with Dr. Jamie Corroon, was published this week in Cannabis and Cannabinoid Research, a peer reviewed journal. You can read the article here, or in the PDF that I embedded below. Thank you to Dr. Corroon, a leading cannabis researcher, for inviting me to co-write this article with him. Dr. Corroon has written a number of peer reviewed papers on cannabis. He conducts studies on cannabis, cannabinoids, and their impact on the endocannabinoid system through the Center for Medical Cannabis Education, a research organization that he founded. You can read Dr. Corroon’s blog here. 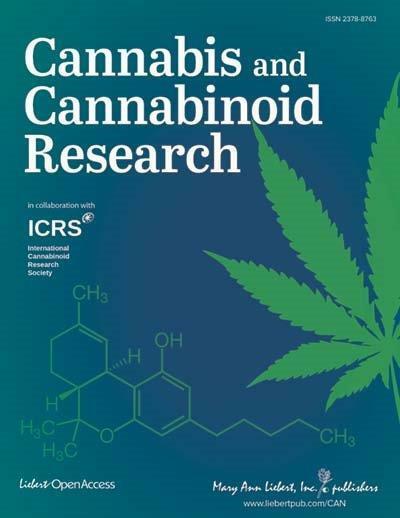 Cannabis and Cannabinoid Research is the premier open access journal dedicated to the scientific, medical, and psychosocial exploration of clinical cannabis, cannabinoids, and the biochemical mechanisms of endocannabinoids. The Journal publishes a broad range of human and animal studies including basic and translational research; clinical studies; behavioral, social, and epidemiological issues; and ethical, legal, and regulatory controversies. ← The 2014 Farm Act Has Expired- What Now?